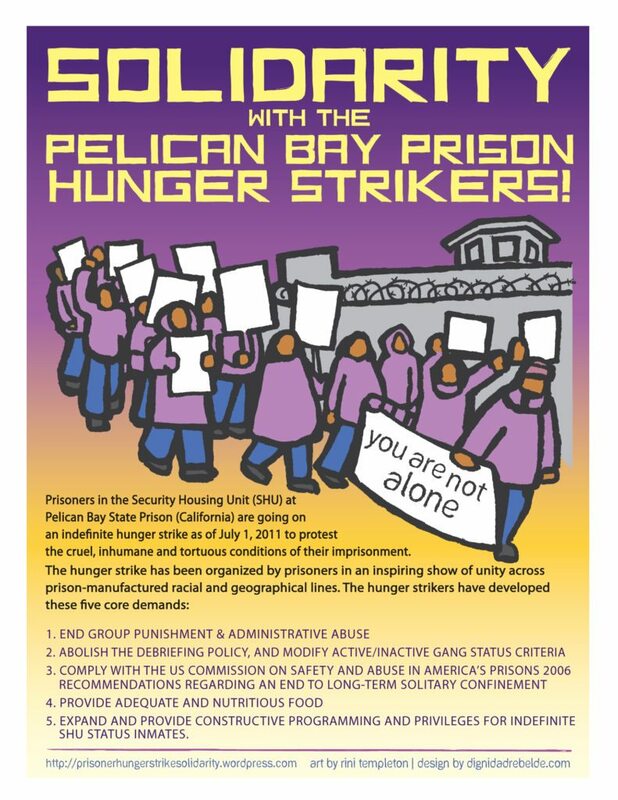 Representatives of the CA Hunger Strike issued a statement on August 12, 2012 calling for an end to all violence and hostility between different groups of prisoners throughout the state of CA from maximum security prisons to county jails. The statement asks prisoners to unite beginning October 10th, 2012.
other for their benefit!! Because the reality is that collectively, we are an empowered, mighty force, that can positively change this entire corrupt system into a system that actually benefits prisoners, and thereby, the public as a whole… and we simply cannot allow CDCR/CCPOA – Prison Guard’s Union, IGI, ISU, OCS, and SSU, to continue to get away with their constant form of progressive oppression and warehousing of tens of thousands of prisoners, including the 14,000 (+) plus prisoners held in solitary confinement torture chambers [i.e. SHU/Ad-Seg Units] for decades!!! Read the entire Agreement HERE (in English and Spanish). 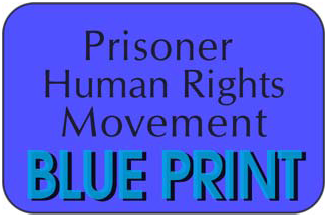 Pingback: Take Action with the Hunger Strikers! My husband spent 30+ yrs confined in segregation. He told horrific stories of what went on in these human warehouses. The worst part was how the C.O’s just did what they wanted constantly provoked inmates to violence,unnecessarily beat down inmates& verbally disrespected them.Inmates were reminded that no one from the public would ever believe any stories told about what happened in the SHU. This is why I’m delighted for your cause. I know with persistence, you shall PREVAIL!!! So what happened in Folsom 8/12/15? Hugo Pinell was assassinated at new Folsom State Prison. This is another example of the racism people of color inside those prisons are confronted with on a daily basis. Like Comrade George, Hugo has been in the cross hairs of the system for years. His assassination exemplify how racist working in conjunction with prison authorities commit murderous acts like this. We saw it on the yard at Soledad in 1970 and we see it again on the yard at Folsom in 2015. His life was a living hell. We witness the brutality inflicted on him by prison guards as they made every effort to break him, he endured more than fifty years of sensory deprivation, for decades he was denied being able to touch his family or another human being, as well as attempts on his life. This is cruel and unusual punishment! Hugo is not the monster that is being portrayed in social media / news media. The CDC is the real monster. During the six trial we really got to know Hugo. He was as we all were under a lot of stress. His stress was heavier than mines because he had the additional load of being beaten on regular occasions. We saw the strength of his of his spirit, and through it all he manage to smile. We mourn the loss of our comrade brother, yogi. We have been hit with a crushing blow that will take some time to recover from. We must expose those who under the cover of law orchestrated and allowed this murderous act to take place. The prisoners who did it acted as agents of the state. It comes at a time when prisoners are collectively trying to end decades of internal strife. Those who took his life have done a disservice to our movement, their actions served the cause of the same oppressor we fought against! No longer do you have to endure the hatred of people who didn’t even know you and never dared to love you. You have represented George & Che well, and we salute you! YES, THIS IS THE TIME TO RECOGNIZE ALL OF THE GROSS INJUSTICE!!!! THANK YOU TO OUR FATHER IN HEAVEN!!!!!!!! I am publishing a documentary on the progress of prisoners released from the SHU and how the agreement to End Hostilities agreement is holding up but I would like to know if I need permission to publish any articles previously published by the Bay View Newspaper? Thank you for your time. Ronald Udale and Rena Rice who is the wife of hunger strike representative Ronnie Yandell. We sent your question to the SF Bay View Newspaper, with your email contact. Excited to see the documentary when it is done! Please send it our way.